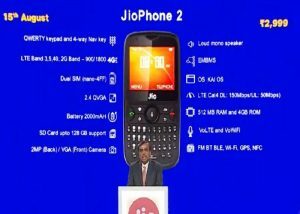 The smart feature phone supports dual-SIM, LTE, 4G VoLTE and VoWi-Fi. In terms of connectivity the device supports FM, Bluetooth, GPS, Wi-Fi and NFC. The smart feature phone also supports popular applications like Facebook, YouTube and WhatsApp. The company will start selling the device from August 15 and the device is priced at rupees 2999. 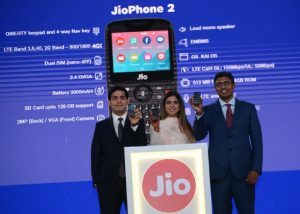 Under this offer, existing feature phone users can exchange their old phone with a JioPhone at a price of rupees 501.